This animation shows a kind of stellar explosion called a Fast-Evolving Luminous Transient. In this case, a giant star "burps" out a shell of gas and dust about a year before exploding. 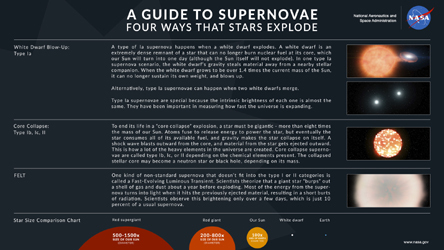 Most of the energy from the supernova turns into light when it hits this previously ejected material, resulting in a short, but brilliant burst of radiation.